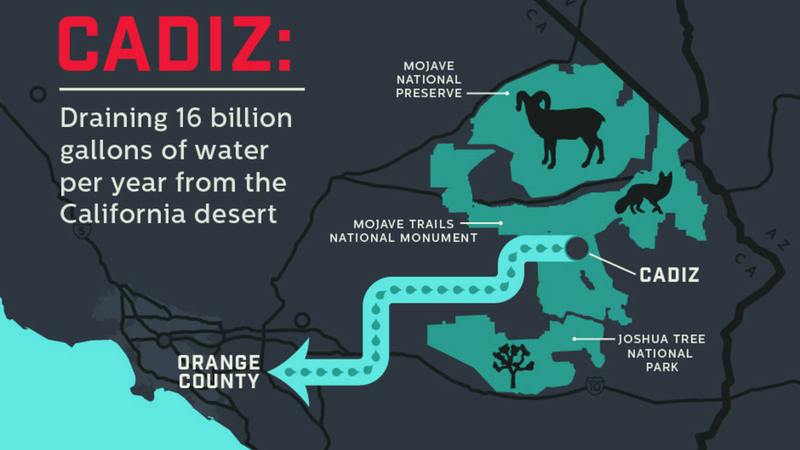 The Cadiz company intends to pump 16 billion gallons of water a year for 50 years from the Mojave desert and sell it to a water district in Orange County. This plan would harm natural springs that dozens of species of wildlife depend upon for survival, according to a peer-reviewed study. The California legislature has one more opportunity to put an end to this terrible idea if it can pass Assembly Bill 1000 (AB1000). 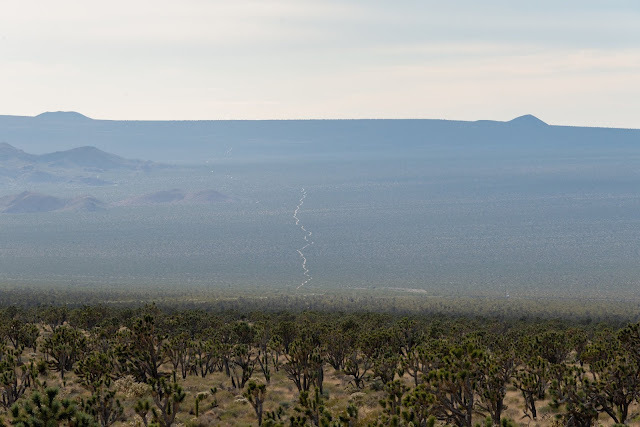 The bill was introduced in Sacramento last year and would require additional scrutiny of plans by the company to export desert groundwater for profit. If you are a California resident, you can call the office of State Senator and Appropriations Committee Chair Anthony Portantino at (916) 651-4025 and ask that he release AB1000 for a vote. You can also call your State Assembly Member and State Senator and tell them you support Assembly Bill 1000. This graphic by the National Parks Conservation Association sums it up. 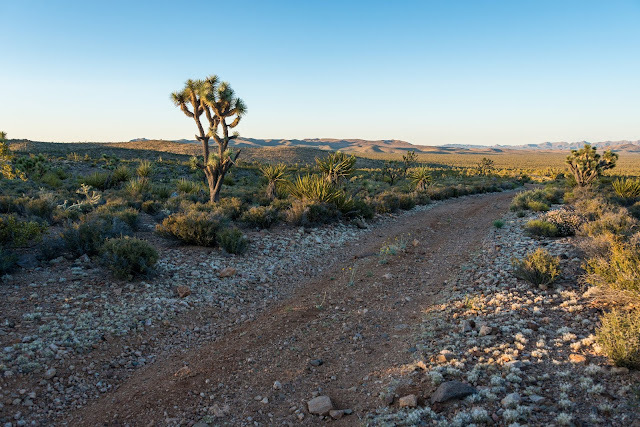 A for-profit company wants to sell water that lies beneath our national parks and monuments, and sell it to Orange County residents to water lawns and golf courses. Cadiz's absurd plan has benefited from shady connections with officials in the Department of Interior and through payments it has made to elected officials. But pumping a desert aquifer is not a sustainable source of water, especially considering that cities in Orange County could invest more in water efficiency programs and lawn removal efforts to reduce its overall water waste. If Cadiz begins pumping Mojave water, the consequences could be dire. 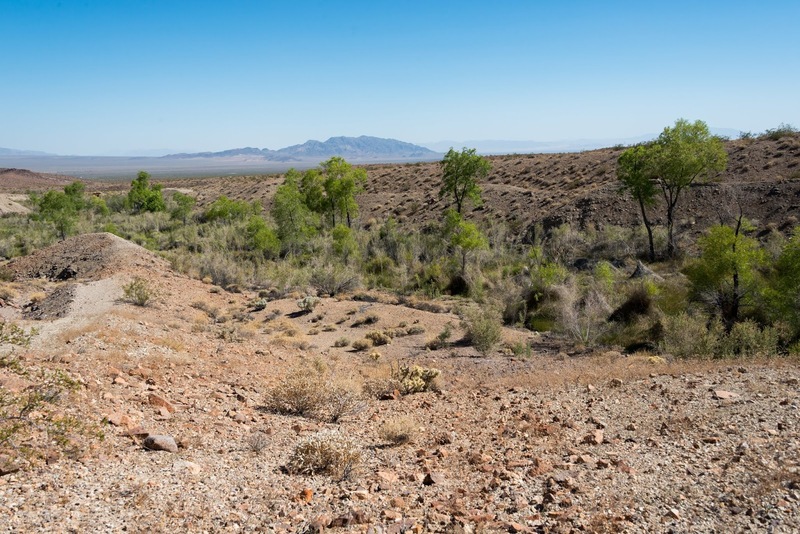 Lowering the groundwater levels in the Mojave would result in natural springs drying up. 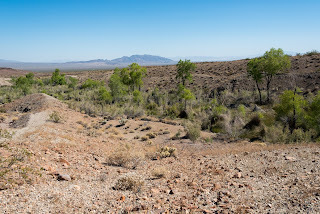 These natural springs sometimes consist of nothing but a trickle of water above ground, but that is enough to sustain herds of desert bighorn sheep, migratory birds, coyotes, badgers and many other desert species. A two minute phone call to your state legislators and State Senator Anthony Portantino's office ((916) 651-4025) could help protect our natural springs from needless waste.